How will historians look back on the final years of this decade in Russia? They might do well to look at the closing years of earlier decades to guide their way. Just mention the date “1917” to any Russian or former Soviet citizen and it conjures up powerful associations: Major changes, revolution and a call to depose the country’s leadership. Nothing is more frightening for Russia’s current leadership than the possibility of a repeat. So every effort was made to ensure that the Russian people would not so much as notice — much less celebrate — the anniversaries. The centenary of the bourgeois-democratic anti-monarchist (even the words are terrible!) February Revolution went completely unnoticed, and only a rapid-fire series of cartoonish TV shows commemorated the October Revolution. In both their essence and form, neither revolution offers anything that the regime of President Vladimir Putin would want to glorify. The youth has become a new factor in Russian politics — and a major headache for the ruling regime. Anti-corruption rallies, particularly on March 26 and June 12, showed that the new generation differs from the herd of the 2000s, which was content to channel its energy towards beer, legal highs and money. The youth today is more active and more critical. And the regime’s desperate attempts to “tame” the young upstarts have met little success. He has presidential campaign offices in dozens of cities. He has clocked hundreds of street protests, he has rallied tens of thousands of volunteers and his videos and investigations online have been watched millions of times. Plus, the authorities frequently arrest, detain and provoke him, and even use violence against him and his supporters. This country has never seen such “Goliath v. David” tactics, even in Soviet times. At the same time, most Russians fear Navalny. First, many have a love-hate relationship with what they consider the “rotten intelligentsia.” What’s more, they have been taken in by the Kremlin’s clever “grey propaganda” that paints Navalny as a U.S. spy, a new Boris Yeltsin, or even another Josef Stalin. 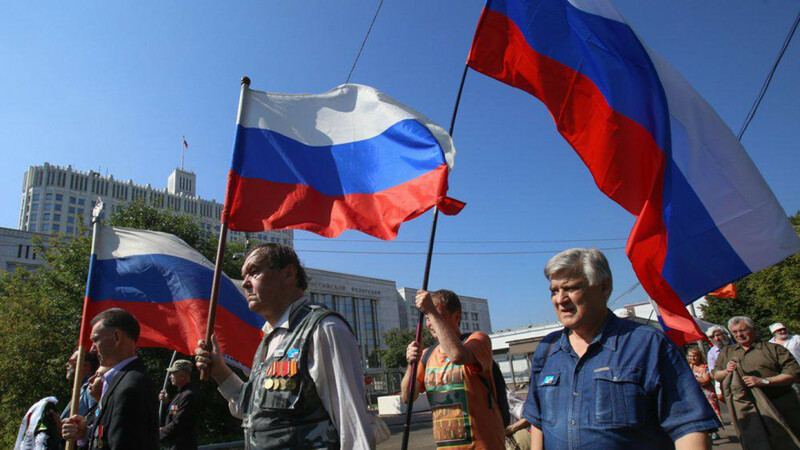 Since 2014, Russia has behaved like a bully who terrorizes well-clad, respectable citizens. In addition to the unpopular and questionable foray into Syria, the Kremlin has started an outright cyber war with the West by employing legions of hackers, trolls, bots and other minions. The goal was to secretly influence the foreign and even domestic policies of Russia’s Western enemies. The surprise attack worked, helping to usher in Brexit and Trump, but Putin’s cyber minions failed to cover their tracks, prompting a counter-response. What’s more, Trump turned out to be less manageable than Putin had hoped. Actions the Kremlin finds humiliating — sanctions, blacklists and everything from the arrest of Russian oligarchs to the expulsion of the Russian Winter Olympic team — are becoming increasingly frequent. The reason is not some pathological “Russophobia” as the Moscow authorities like to contend, but the West’s understandable desire to put an ill-mannered Russia in its place. The Kremlin, not surprisingly, responds to all of this with indignation — feigned or otherwise — resentment, and denials. Many of these events were predictable. With the exception, of course, of the Kremlin’s internet banditry, the form and scale of which — as well as the proper retaliation – have yet to be fully determined. 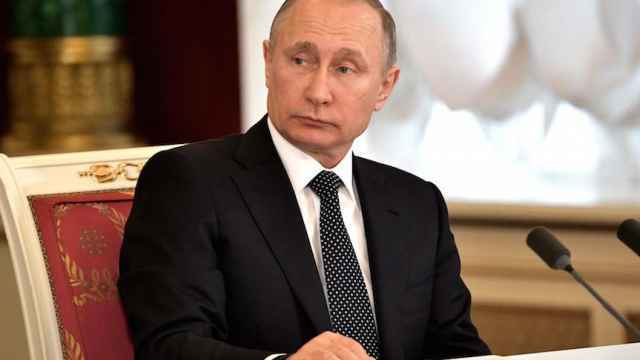 This year’s “new face” (tongue firmly in cheek), Vladimir Putin, will sweep the elections with approximately 70 percent of the vote. He’ll even do it without “carousels” or the other usual polling station tricks. Communist Party leader Pavel Grudinin and LDPR leader Vladimir Zhirinovsky will garner approximately 8-10 percent, independent candidate Ksenia Sobchak and the Yabloko party's candidate Grigory Yavlinsky will each take approximately 2-3 percent. Of course, the authorities decided not to permit Navalny to run in the election, so his supporters will boycott numerous polling places in the major cities or otherwise attempt to disrupt the voting process. They will also hold protest rallies, right up until Putin’s inauguration and riot police will round them up in hordes. 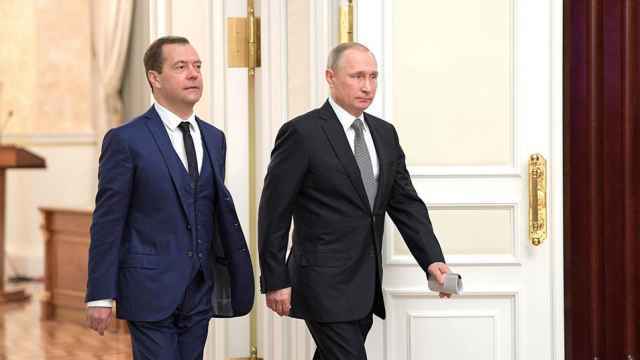 Putin will send Prime Minister Dmitry Medvedev into retirement, either just before or just after the election. Medvedev will be replaced by either a liberal-technocrat such as former Finance Minister Alexei Kudrin or Central Bank head Elvira Nabiullina. Alternatively, he might be replaced with a “get out to vote” patriot such as Sergei Glazyev or FSB Major General Georgy Rogozin. Or someone – anyone – who is completely neutral. But, I believe, some indecisive individual whom Putin can manipulate at will actually be installed in Medvedev’s stead. It will be the most miserable World Cup in history because nobody really wants it. After the Sochi Olympics doping fiasco, Russia’s leaders know that even the World Cup cannot restore their reputation. Russia's national team will undoubtedly give a mediocre performance at best, and the whole enterprise is costing this country a fortune. Aside from the inconvenience, ordinary citizens stand to gain nothing. Foreign fans will arrive in small numbers and with great caution – if they come at all. With peacekeeping as the goal, Russia’s foreign policy will proceed slowly and reluctantly, in line with the country’s shrinking economy – just as the West hoped it would. Moscow will continue to haggle over Ukraine, seeking an end to sanctions in return for this or that concession. Russia will also partially fulfill the Minsk agreements and withdraw a major part of its forces from Syria. When the commission investigating the crash of the MH17 flight over Donbass announces its conclusion that a Russian missile downed the Boeing aircraft, Moscow will declare the findings nothing but lies and slander. The Kremlin will similarly deny that Russian hackers and trolls attacked the U.S. elections and democratic processes in Britain and France. The right-leaning, conservative ideological bent will deepen until it starts to resemble monarchism. Despite the commotion surrounding the World Cup, the authorities will commemorate the 100th anniversary of the assassination of Tsar Nicholas II and his family with pomp and fanfare. The protest movement will stay strong, focusing its demands on the Moscow mayoral and St. Petersburg gubernatorial races. 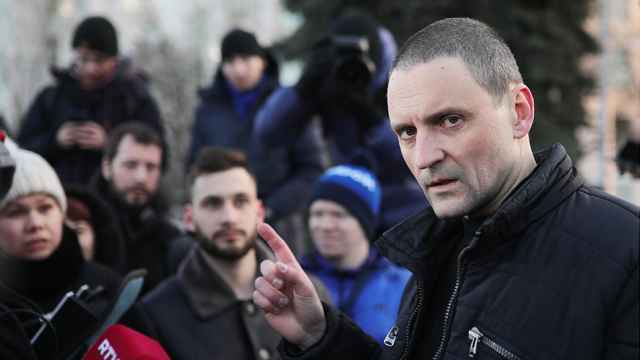 In addition to Navalny, new opposition leaders will emerge – both familiar faces such as Dmitry Gudkov, as well as relative newcomers from the younger crowd. Immediately after the presidential elections, Ksenia Sobchak will disappear from the political arena. And maybe, everything will turn out differently. Maybe Putin’s ruling regime will begin to show signs of weakness, a Russian Orthodox fundamentalist or progressive liberal will come to power, the country’s financial system and economy will collapse, or a new “thaw” will improve Russia’s relations with the West. One year from now, we’ll check back to see. 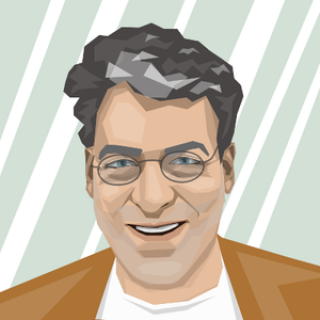 Artemy Troitsky is a journalist and writer, now teaching in Tallinn, Estonia. The views and opinions expressed in opinion pieces do not necessarily reflect the position of The Moscow Times. "I met President Putin yesterday evening. He invited me to his apartment in the Kremlin. It's not the first time I'm there." Putin was sworn in for a fourth term as president on Monday.